Italtile has introduced a new range of miniature mosaics in the form of bevelled subway tiles. Every piece measures a mini 45mm x 95mm, a mere half of the size of the standard, traditional subway tile. To make tiling easy, the tiles are placed on a mesh sheet that is easy to install. The range consists of five new glossy colours to choose from, including trendy mint and latte, as well as the more traditional black, white and cappuccino. 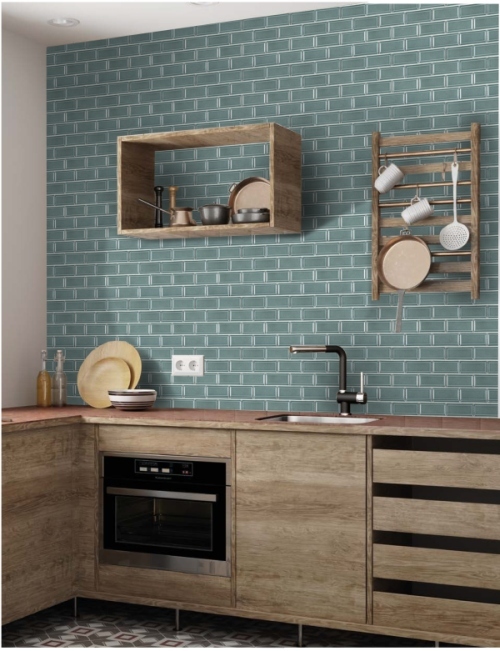 Miniature bevelled subway tiles in the trendy mint colour. Why the fascination with miniature things? “Miniature Doberman Pinchers, miniature furniture or miniature make-up – a part of society is positively thrilled with anything that looks like we have produced it in a miniature format,” says Nicole Russell, marketing manager at Italtile. “Some say it’s because you can more easily control things that fit into the palm of your hand. Others say it’s a natural and opposite reaction to the need to supersize. Whatever the reason may be, these new mosaics are perfect to use on the wall as a splashback, for the shower cubicle or even for entire living area walls,” Russell suggests. 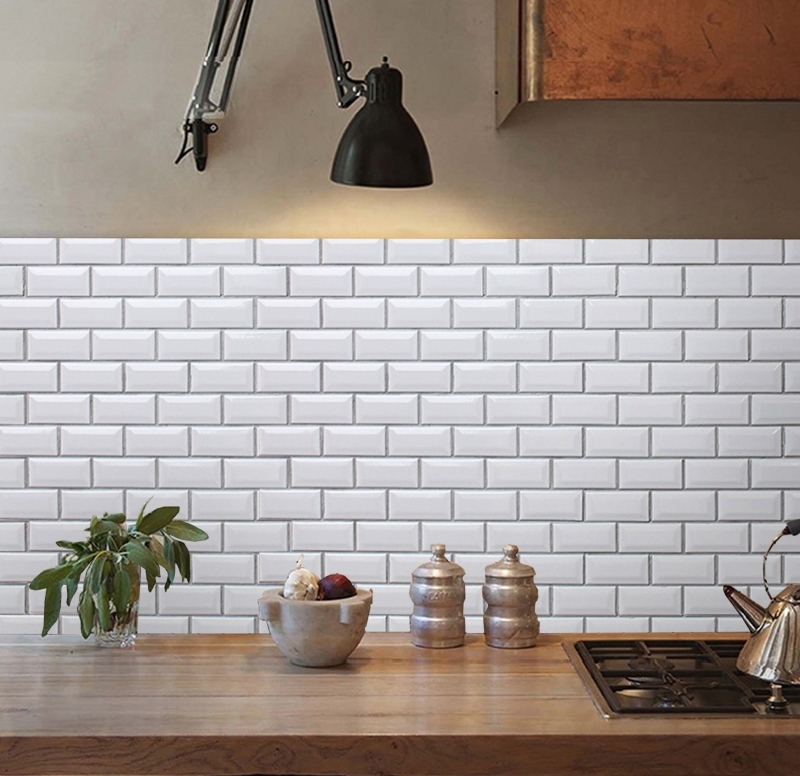 Caption main image: A backsplash of white bevelled subway tiles that are only 45mm x 95mm.